Here’s a game that will take up those 3-5 minutes idle time while waiting in line or the lift. By the time I heard about this game on Kickstarter, it had already ended and I’m glad that it was successful. So what’s so nice about this game? 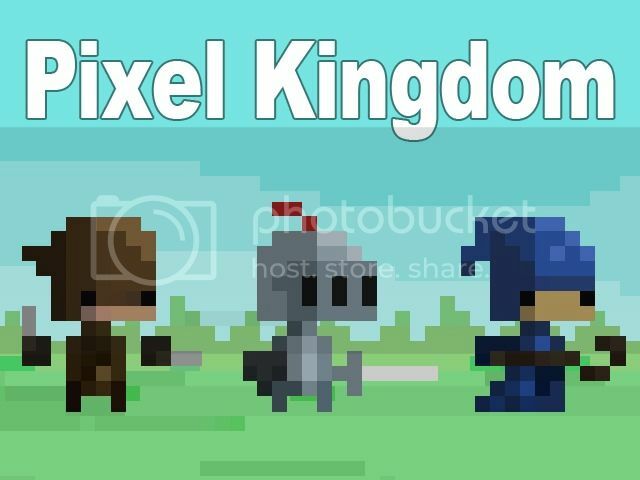 Pixel Kingdom is yet a different take on the whole tower defense genre. This game was made by Sean Young, who is currently a sophomore college student. He successfully made a campaign on Kickstarter to raise $5,000 to fund his game development. As a result, this has been made a reality. Plot – This won’t win any awards for story. You are defending a kingdom under attack from dragons, orcs, goblins, ghosts, trees… I don’t know what this kingdom has, but for some reason, all of those enemy types who don’t have anything in common want to get it. Whatever it is, I’m sure it’s worth it. Gameplay – Your goal is to reduce the enemy’s life to zero. You have energy that charges up, then you build units based on the energy that you have. Lower cost units are weaker and higher cost ones are stronger. 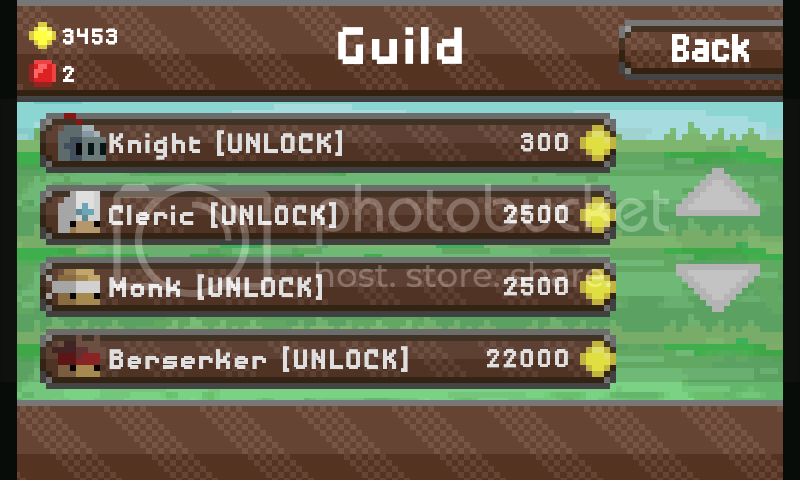 You start out with the standard melee (warrior), ranged (archer), fast melee (ranger), and magic ranged (wizard). 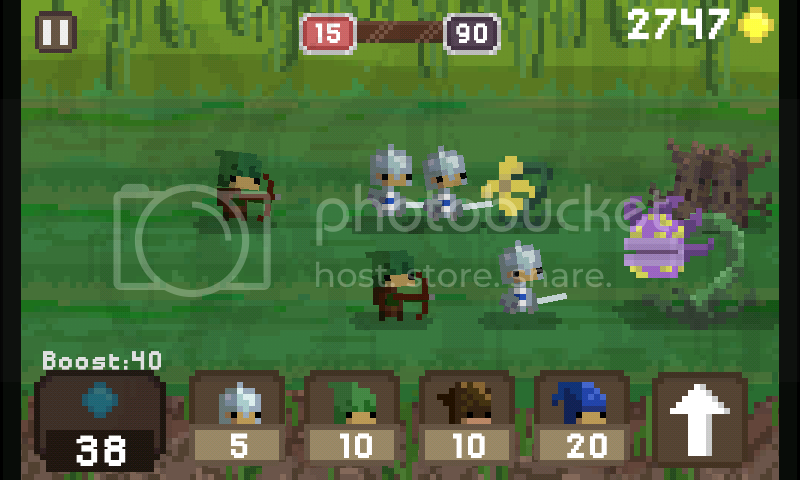 There are 3 rows that the enemies come from and you deploy your units into one those rows with the goal of beating them up and reaching the end of the screen. Once your unit reaches the end, it deals damage to the enemy equal to its casting cost. Alternately, if your life reaches zero, you lose. There are two types of currency that you earn, first is gold that can be used to buy more types of units and armor as you progress. second are red gems which is more difficult to earn and is used to purchase upgrades and other units. Replayability – This game claims to have infinite levels. I assume that the enemies just keep getting harder as you progress. The game also has an arena-type mode where you try to get as far as you can with the units that you have. Verdict – I wouldn't be reviewing this if I didn't think it was good. This is a good game you can pick up and play for a few minutes and then put down easily. And it being free and having achievements also helps.